Add dimension to a plain wall in your home using the Layered Large Metal Wall Decor. 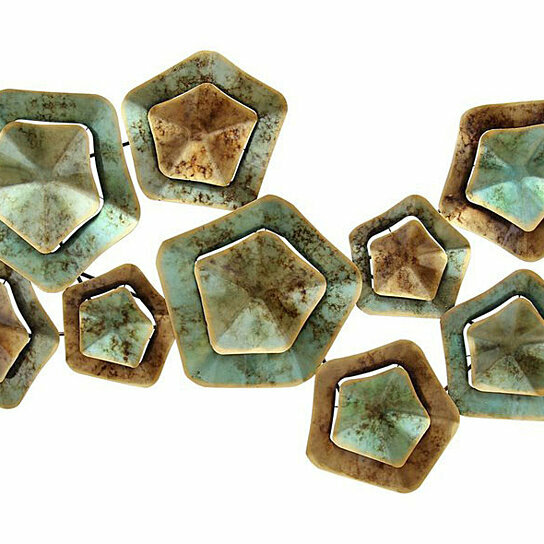 Made from 100% metal, this multicolor cluster of shapes is eye-catching and unique. Display it alongside pieces of contemporary decor for a cohesive look. Care instructions: Wipe clean with damp cloth.